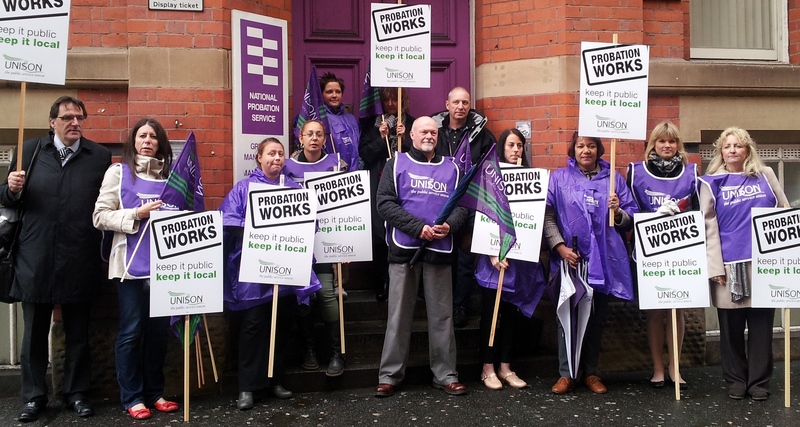 Probation workers showed their opposition to the Government’s sell-off of this vital public service at rallies across the North West today. The rallies were held on the day that the Government placed an advert to invite private sector providers to take over the running of the majority of the service. This entry was posted in News and tagged Probation. Bookmark the permalink. Comments are closed, but you can leave a trackback: Trackback URL.